This classical .223cal / 5.56mm Rifle Cleaning Kit is still favoured by many despite the availability of more complex kits. 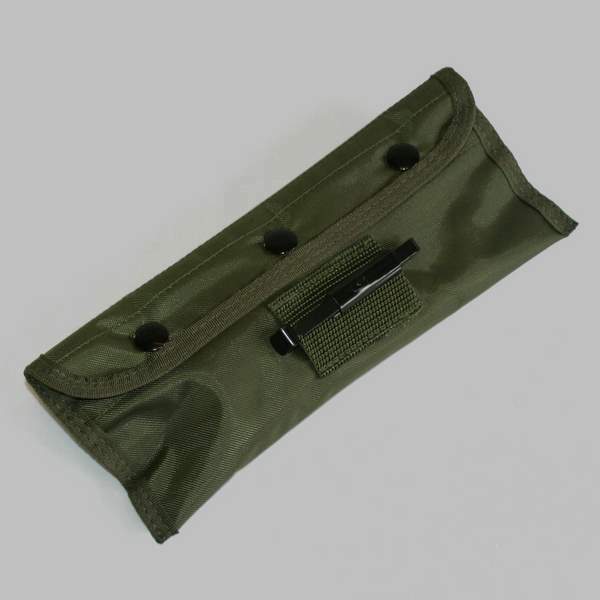 The tough nylon belt pouch securely carries steel cleaning rods and handle (still required for the removal of stuck cases), bore and chamber brushes, cleaning patch holder, nylon cleaning "tooth" brush and oil bottle. 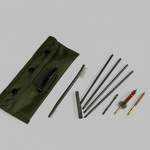 Our kits are US made to full MIL-SPEC and should last you for many years.